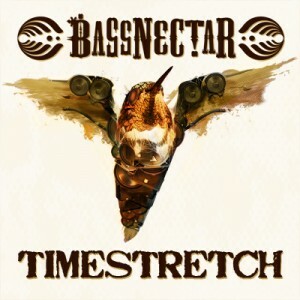 Two collaborations between two highly respected producers. 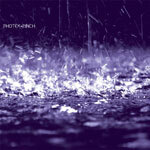 Photek’s ‘Closer’ marked the 50th release on Pinch’s Tectonic last year, and some time in the studio together has produced these standout tracks. Acid Reign first appeared in January on Pinch’s FabricLive mix compilation, his ‘dubplate version’ described by Fact mag as “a slow-burning half-stepper with a twisted acid melody fighting for air in an oil spill; as claustrophobic as you like, basically.” M25FM appears on Photek’s instalment to the highly respected DJ Kicks compilation series, it’s another acid-tinged track, taking us into much deeper territory. Landing as the second release from the new French label ClekclekBoom Recordings, young newroller Coni drops us sensitive, deep but yet powerful tracks with sensual r’n’b reworks that would make any female moan. Combining groovy sophisticated house and naughty/soulful bass on the lead track “Luz in Pool”, the parisian takes us to a delightful journey where you’ll be losing yourself. On the flipside, “Suma” is mixing up an uplfiting 90′s r’n’b vocal with a very effective UK Funky drum line. The laid back G-Swagger “Crush” favoring a modern half-tempo 808 rhythm with a sweet subtle voice adding to a haunting purple synth coloration. This 3 track EP is full of heaviness and is already listed as favorite by many established big names. This number is not to be missed! 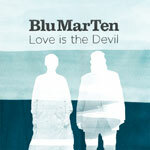 Love is the Devil is Blu Mar Ten’s follow-up to the runaway success of previous album, Natural History and showcases another development in the trio’s consistent work at the cutting edge of Drum & Bass, musically, conceptually and technically. From the epic vistas of Into the Light, the intricate musicality of All Thoughts Are Prayers, the brooding darkness of Hollow Men, the sweetness of High Hopes, the shockingly technical Blue Skies and the ethereal Sweet Little Supernova, the album represents two years of solid work and delivers tracks of pure quality from every known corner of the genre and some that have yet to be invented. Love is the Devil is another step in Blu Mar Ten’s mission to stretch Drum & Bass into new forms; sometimes beautiful, sometimes poignant, sometimes aggressive but always lovingly crafted. Love is the Devil features collaborations with a range of talented names from dance music and beyond. Blind Soul: This achingly melodic track features the deft touch of Drum & Bass wunderkind Stray. Whisper: Based on an original track by Dave Randall (Faithless / Slovo), Whisper showcases the vocal skills of dance music legend Kirsty Hawkshaw. The Fourth: A deeply melancholy track featuring brand new US singer / songwriter Jenni Potts. Jenni’s bittersweet delivery brings an unexpected twist to The Fourth’s intricate production. Another Year: Fresh from working on Bonobo’s new album project, Mike Lesirge of London brass trio Killer Horns brings his talents to Another Year in the form of oozing, sultry sax work. Still the One: InsideInfo is renowned for his thundering basslines and pounding drums. Coupling his skills with Blu Mar Ten’s denser orchestration has given birth to Still The One, the first mutant offspring of this unlikely musical hookup. Sweet Little Supernova: Reprising her work on Natural History, Rochelle Parker turns in a sensual and ethereal vocal performance. Into the Light: Having already had his work picked up by Hospital Records, fresh UK talent Airwalker joins Blu Mar Ten to deliver a blistering attack of synths and drumwork on Into the Light, a definitive set-opener for any DJ. High Hopes: Classically trained and with an ear for uplifting orchestration, INtrepid brings the full force of his talent to High Hopes turning in a dense matrix of live instrumentation, from the sax to the xaphoon. This clip showcases tracks taken from the Vinyl format. Pressed on 3×12” Vinyl in a gatefold sleeve with the full 11 track CD inside. Birmingham-based producer Emalkay, who is set to release his hotly anticipated debut LP ‘Eclipse’ First making a name for himself with early releases on his own Morphic Sounds imprint, Emalkay has continued to push the boundaries of underground bass music ever since, delivering a slew of huge releases on the way. Having been an integral part of the Dub Police stable ever since his ‘Explicit / Heroics’ 12” for the label in 2009, Emalkay has gone from strength to strength with a series of heavyweight tracks that includes the phenomenal ‘When I Look At You’ and recent smash ‘Crusader’. Comprised of 11 tracks, ‘Eclipse’ is a bold and powerful album encapsulating perfectly everything that makes Emalkay such a prodigious talent, effortlessly showcasing the depth and diversity of his sound while always remaining true to his inimitable style. 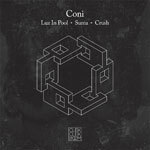 As addictive as it is hard-hitting, the album doesn’t just provide a collection of dancefloor tracks, but a confident and coherent artistic statement. A brilliantly confident and varied debut album, ‘Eclipse’ is set to cement Emalkay’s place as one of the biggest and most exciting producers working in bass music today. Teeth comes with ‘Shawty’ for his debut 12” release on 502 Recordings, a hot melting pot of underground dance influences from jungle, techno and 2 step garage to dubstep and beyond. FaltyDL deals with a future blues mix on the flip/ Original mix has support from Benji B on Radio 1, Ben UFO, Oneman, Braiden, Seb Chew, Pearson Sound and loads more..